My Now Foods Essential Oils Review - Are Now Essential Oils for You? Essential oils are a wonderful way to enjoy the fragrances from some of today’s most sought after extracts. Aromatherapy oils are genuine reflections of the botanical from which they’re derived from. When these natural extracts are diffused into the air of a room in your home, they can inspire, energize, soothe, and encourage wellness and peace of mind. Today, essential oils are primarily used in therapeutic settings to help achieve a positive mood and bring about relaxation. 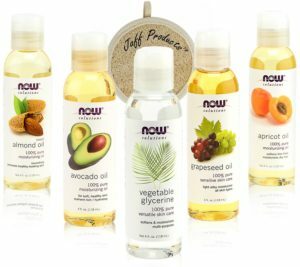 The NOW Foods essential oils company is called NOW Solutions. I’ll be using the terms NOW Foods, NOW, and NOW Solutions interchangeably, so please don’t get confused – it’s all the same thing. NOW not only makes essential oils. Related aromatherapy products include essential oil diffusers, essential oil blends, and a selection of organic oils. As a company, they manufacture and distribute over 1,400 natural foods, dietary supplements, sports nutrition and personal care products in total. When it comes to going for an essential oil company that offers the best value, no one beats the NOW Solutions combination of premium quality at affordable prices. They have built lasting relationships with their suppliers and vendors, and are able to purchase large quantities of raw materials at substantial discounts. This gets passed on to us customers in the form of everyday low prices. NOW is still family owned as it has been from the beginning. Photo courtesy of nowfoods.com. 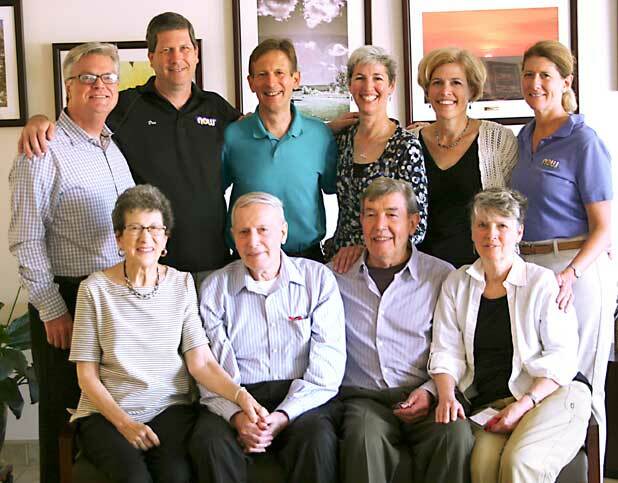 In 1948, entrepreneur Paul Richard purchased a small Chicago-based manufacturing company that made grain and legume-based products, marking the beginning of a six-decade family company legacy. NOW Foods is still a family-owned company today. NOW Foods was founded on the belief that good health is not a luxury available only to the wealthy. This translates into NOW Foods manufacturing high-quality, affordable nutrition products. “A helping hand since 1968” can be found as a slogan on some of their literature. NOW essential oils are produced with loving attention to detail from start to finish. The company insists on using the best raw botanicals available, process them with gentle extraction methods, and commit to producing industry-leading quality. With steam distillation, essential oils are converted into vapor and then condensed into liquid form where they can be bottled for your enjoyment. It is a popular, natural and precise way to gently extract essential oils while leaving behind any undesirable components. Cold press extraction is another natural extraction method used primarily for citrus extracts, such as Orange, Lemon, Lime, Bergamot and Tangerine. It involves carefully applying a cold “press” to the botanical to extract the highest concentration of beneficial oils. Botanicals that are too delicate or costly for distillation are often extracted efficiently using safe solvents such as ethanol. Examples of solvent-extracted oils include Rose and Jasmine. CO2 Extraction is used to remove the oils or essence from the plant matter without using heat or leaving any solvent residue behind. Poor extraction methods can compromise the potency, aroma and effectiveness of the resulting oil – making it imperative to pay attention to any essential oil brand’s process of manufacturing. NOW Foods clearly shows great care and stewardship for extracting the best essence of the essential oils you find in the bottles available for sale. All NOW oils are pure, natural, highly concentrated and free of synthetic compounds. A selection of NOW Foods essential oils are classified as Certified Organic. Those oils are grown in soil that is free of pesticides, synthetic fertilizer and herbicidal residues. However, it is important to note that not all of NOW Foods essential oils line-up is from organic botanicals – only the ones labeled as such. Still, all essential oils in their line-up are subject to the same internal testing process as the “Certified Organic” ones, they just don’t all qualify for displaying the label because they are not all sourced from certified organic ingredients. Essential oils are only a good as their active components. NOW Foods uses their own team of quality control experts to conduct quality tests and ensure that each oil matches their standard. NOW’s team conducts a series of quality tests to ensure that each oil is of the highest possible quality. All NOW Essential Oils are GC/FTIR verified, which is an aromatherapy industry-standard testing qualification. GC stands for Gas Chromatography and FTIR for Fourier Transform Infrared Spectroscopy…. Not that these technical details really matter to the average user, but it’s good to know that this is not only a company-internal testing process labeled with some smart marketing name to confuse consumers. For example, doTerra also uses GC and FTIR testing to ensure the quality of their essential oils (read it on doTerra’s blog here). “Therapeutic grade” cannot be chemically measured and is therefore just a marketing made up by the industry with no authoritative body or organization behind the term. Claiming an oil to be “Food grade” (i.e., edible) would require that brand to display a Nutrition Facts panel on their label as required by law. However, if you recognize the source of these oils as food (i.e. peppermint, oregano, cinnamon bark), then natural extraction methods such as steam distillation and cold pressing do nothing to change this quality, and these methods do not make the oil toxic. Oils that are not food grade will have the statement “Not for Internal Use” in the caution box on the label. If you have questions regarding the use of any NOW Solutions essential oil please contact their Certified Nutritionists by calling 888-669-3663 and choosing option 5 or by emailing productinfo@nowfoods.com. 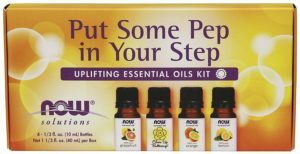 Put Some Pep In Your Step: Uplifting essential oils. Includes 3 singles (Grapefruit, Orange, Lemon), and 1 blend (Cheer Up Buttercup), 10 mL each. Love At First Scent: Romantic essential oils kit. 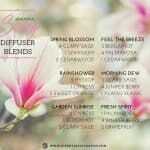 Includes 3 singles (Cinnamon Cassia, Rose Absolute, Bergamot), and 1 blend (Naturally Lovable), 10 mL each. 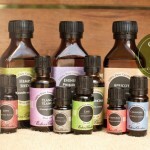 Let There Be Peace and Quiet: Relaxing essential oils kit. Includes 3 singles (Lavender, Peppermint, Eucalyptus), and 1 blend (Peaceful Sleep), 10 mL each. Seasonal Changes: Balancing essential oils kit. Includes 2 singles (Tea Tree, Eucalyptus Raidata), and 2 blends (Nature’s Shield, Clean the Air). 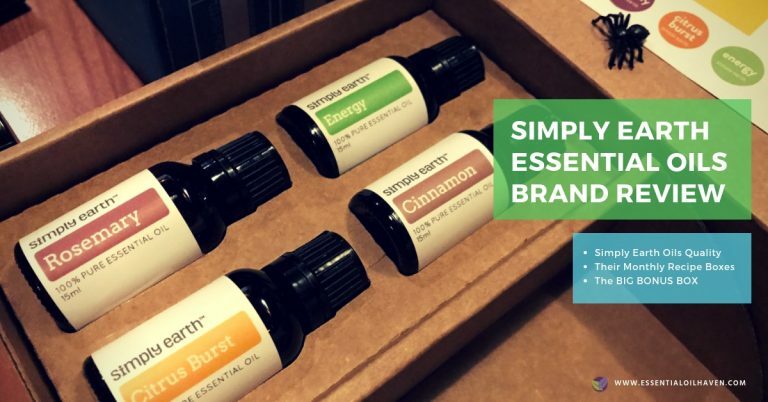 With any of these starter kit options you’ll be well on your way to enjoying essential oils! If you’ve come to love and trust the NOW essential oils brand, you might like to stock your cabinet with their carrier oils, too! 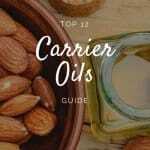 You can get carrier oils in a convenient 5-pack sampler pack, including almond oil, avocado oil, vegetable gylcerine, grapeseed oil and apricot oil. Avocado oil is rich in vitamin A, D & E and can help you improve skin elasticity. Sweet Almond oil is filled with vitamins A, E , B, & D, and also Zinc and Calcium. This oil gets absorbed without blocking pores. It is lightweight and odorless, and calms skin inflammation, making your skin soft and smooth. Apricot oil is a great natural oil for use with sensitive skin. It easily blends with essential oils and absorbs quickly into the skin. Vegetable gylcerine oil is sourced from Non-GMO palm oil to provide maximum benefits. Grapeseed oil is a great source of essential fatty acids and prevents premature aging. I hope you’ve enjoyed my Now Foods Essential Oils Review. I do really feel comfortable recommending NOW essential oils to you. I like their thorough scientific testing and no-BS declaration of information. NOW oils are also attainable at a reasonable price, which I think is also a plus for their company. Put your thoughts in the comments box below! I have a 32 oz. bottle mixed with water, vinegar, and NOW’speppermint oil for mopping the floor. But I use it also to KILL the terrible odor from cigarette smoking coming from my neighbor on the fourth floor. I live on the second floor. I simply spray it on the open windows in my apartment sometimes upwards so that the rest of the neighbors that I know don’t smoke would benefit from the aroma. 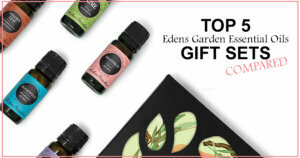 I have been using three of this company’s products which I like, but I happen to gladly stumble on Edens Garden EOs for several months now, and I am happy I did which shopping at Amazon’s. I am an avid user of NOW essential oils. Having too many allergies to count and multiple chemical sensitivities means I am not able to use the most common bug spray or rub repellents. Last year I mixed NOW citronella and lemongrass and eucalyptus together and made a natural bug spray. It kept the bugs away from me for a couple of hours. I kept the bottle beside me and reused it every so often. For the first time since I can remember I was able to sit outside from MAY to October. Do you have any other mixture suggestions I may try? My brother in law has asked me to mix one for him. I would appreciate any suggestions. I created a bug spray in a 4 oz. blue glass bottle. You can add a few drops of Jojoba oil for the moisturizing qualities but isn’t necessary. Even if you get bit by a mosquito, this mixture can reduce the itch and irritation significantly. This mix worked very well for me this summer. I wasn’t sure at first considering I’m a bug magnet. I’m pleased with the results and finally got to enjoy my summer evenings outside without the harsh chemicals from OFF. I even have my friends asking to use the spray. The only drawback I can think of is that I had to spray it more often than usual to make sure I was still protected. 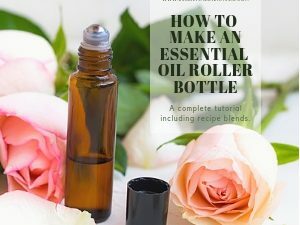 I have a couple bottles of the Now essential oils and I want to know if I can make my own bath salts? I have a recipe for Aches and Pain. I buy the four scents and mix them together and it really works. The problem is I live in Arkansas and the place I buy the salts is in Wisconsin, to far to go and gets expensive to have them shipped. 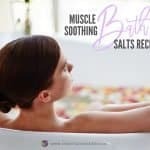 You do not need to purchase expensive or special bath salts. Magnesium sulfate, aka. Epsom salt, is inexpensive and can be found at virtually any grocery store or pharmacy. 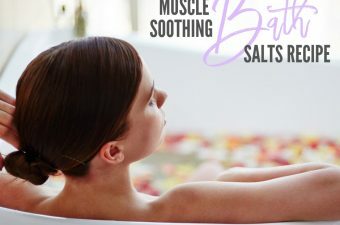 It is an excellent bath salt for aches, pains, bruises, and can even be mixed into a liquid and ingested for use as a laxative. Just use epsom salt in your bath and add 4-6 drops of your choice EO (i.e. lavender, cedarwood, bergamot, camomile, wild orange, I have even used peppermint and tea tree at different times); or a combination of your choosing. FYI, I have a degree in Biochemistry & Biology and am a PhD candidate in Biomedical Sciences, Neuroscience and Biotechnology. I have done research with Magnesium sulfate in my lab, so I am intimately familiar with this compound. Hi Lara, my name is Heather. I have been battling a serious overgrowth of candida that has attacked my face with rash with rash that just hasnt wanted to leave. There is a patch of little raised itchy redbumps glazed over my lips off to side of nose and a patch under corner of my mouth where I had a bad case of angular chelitis literally eating away at my skin ,but its starting to heal up now. I am on a strict candida cleanse of no sugar,no dairy,no fruit ,no wheat/gluten no starch diet and have been taking 150 billon in probiotics,a couple caprylic acid capsules and liposomal vit c everyday….is there a essential oil regimen you recommend or any advice for my issue? Also do you have a practice /facebook to follow? It sounds as though you are very knowledgable in many important subjects /studies that pertain to health…..also my husband and I have been taking the “Calm” Magnesium supplement ,is this a good choice or is their one you would recommend over this? Decent prices and even better bulk prices! 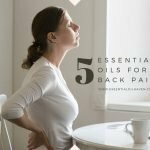 Sue, Order your Now essential oils from PureFormulas in FL – they have fantastic prices on oils, nutritional products (many doctor recommended products), personal care items, foods, etc and shipping is FREE. I live in NM and when I order say Wednesday in the morning (their time) I receive the order on Friday. They ship USPS Priority Mail. They have specials all the time that they will email to you – last time I ordered it was 10% off their already discounted prices. HAPPY ORDERING! I have been using Essential oils or a year now. Young Living Oils is where I started, but Now oils is also apart of my regiment, because of easy accessibility, and good quality as well. Their is a difference between the two. I love the oils and I use them both. EO’s Young Living, Jurlique and Starwest have a much purer scent and are better quality. I use NOW EO’s when I need a specific oil right away. The NOW Cypress I just purchased locally smells more like NOW Lavender than Cypress and I plan to return it. I do use the NOW Pea Protein Powder supplement though, and love it! Company is better suited for supplements. Great review…… I’ve been using NOW products for years. I’m just now starting to learn about the advantages of essential oils. Thank you for this review. 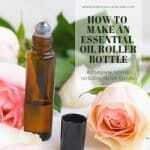 I just did a doTERRA workshop on facebook and learned heaps about EO’s. Also I learned there was no way on earth I could afford them or the Young Living brand or just about anything else. So I was really curious about the NOW foods line because they are so much cheaper, made me wonder if they are really suitable or not. But I need to start somewhere and I’m so glad to read a good review . Thanks so much, it was really helpful. Young Living is the only companied approved for safe ingestion! And the only company in the industry that can provide you with real insight on the essential oil process! They own the largest, most professional distilleries in the world! Check out, SEED TO SEAL. COM <3 Good luck with your journey! I found a recipe to make lip balm and it calls for food grade essential oils and am hoping to make it as Christmas gifts this year. Are your essential oils safe to be used in lip balm? I am unhappy to learn about their use of solvents and co2 to extract oils in some instances. Otherwise, these do look to be of decent quality. Do their labels state the extraction method used? I have about 20 different Now oils and haven’t seen any with solvents. It must be a rare occurrence. It states on their website that they only use these processes for the really difficult ones to extract (I think it’s only done for two of their oils) and maybe one super expensive, rare one. And it is labeled on the bottle that they were processed this way. Go to their website and read up on it. It depends on what they are using Co2 extration on. I know there are properties of ginger or frankincense that can only be brought out using Co2. I just learned about this recently as I noticed another brand was using it on frankincense. Not all of their line of frankinscence, just one.. They listed all of the frankincenses that are steam distilled, but had one that said Co2 distillation. I googled it and found out that whatever property it was, it could only be extracted using Co2. While this may not be the case for all aromatics at least with frankincense and ginger, there seems to be a good reason for it. It is important for any plant material being processed by Co2 be organically grown, as this method not only brings out more healthy properties, it also brings out the pesticides more efficiently, too. When thinking of buying something that is Co2 extracted, you should contact the company to be sure it is starting with organic material. Hypercritical carbon dioxide (CO2) extraction is a relatively new process used for the extraction of aromatic products. The basic concept is that CO2 under pressure will turn from a gas into a liquid that can then be used as an inert liquid solvent. This liquid solvent is able to diffuse throughout the plant material thus extracting its aromatic constituents. CO2 extracts contain most of the same constituents as their essential oil counterparts, although they can contain some elements not found in essential oils. For instance, the essential oil of ginger (Zingiber officinale) does not contain the bitter principles, however the CO2 extract does. Also, the CO2 extract of frankincense (Boswellia carterii) has immune enhancing and anti-inflammatory activity not found in the essential oil. CO2 extracts are known for their strong similarity in aroma to the actual plant aroma. Other common CO2 extracts on the market include German chamomile (Matricaria recutita) and Calendula (Calendula officinalis). The three main disadvantages for this process are cost, potential pesticide residue, and the lack of information regarding their safety and therapeutic benefits.7 With regard to pesticide residue, Guba comments that “carbon dioxide extraction has been demonstrated to concentrate from 7 to 53 times more pesticide residues in the final extract.” Therefore, it seems pertinent to only use organic plant material for CO2 extraction. Perhaps as more CO2 extracts become available and more practitioners use them, further details regarding their applications will become apparent. Two of the most common essential oils available via CO2 extraction include frankincense and ginger. I would like to know how many drops do you use in a defusser of NOW? I have look all over to find out my answer. Hi Yvonne, check how much water your exact diffuser unit holds and add 3-5 drops of oil per 100ml of water tank size. So if your diffuser has a 100ml water tank size, add 3-5 drops of oil depending on how strong you like the smell or effect of the oil to be. 200ml = 6-10 drops, 300ml = 9-15 drops, 400ml = 12-20 drops, 500ml, 15-25 drops. Thanks for your advice Emma. I just purchased my now diffuser and oils yesterday send find that the five drops doesn’t seem to smell strong enough to me. Do you know of any problems that could result in adding double the amount of oil i e 12 drops in 100 ml. I have never used now brand. can you take them internally? how do you rate this with doterra? 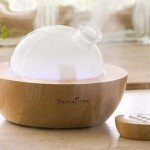 Hi: Just a new at this and was wondering what would I purchase in the Oil field to use in my Oil Diffuser for helping with Snoring and night and for my husband who is a smoker. Hey Bon, give this article here a read, it talks about which oils are best for snoring. I recently ordered oils from Dr. Axe and they were very expensive. Does anyone have an opinion on whether they are worth the price? Part of it is because the recipes may not match perfect. I also made the On Guard blend from doTerra and it doesn’t smell totally like it either. I personally believe doTerra is a better oil. However I can afford more of the oils with NOW and I’m happy with them. NOW foods have a blend called natures shield that has the same oils. Any differences could be an issue of proportion of oils. Real oil has a blend like Theives and its 50% off. Havent bought it yet but I am going to try it! Its called Immunity Boost. 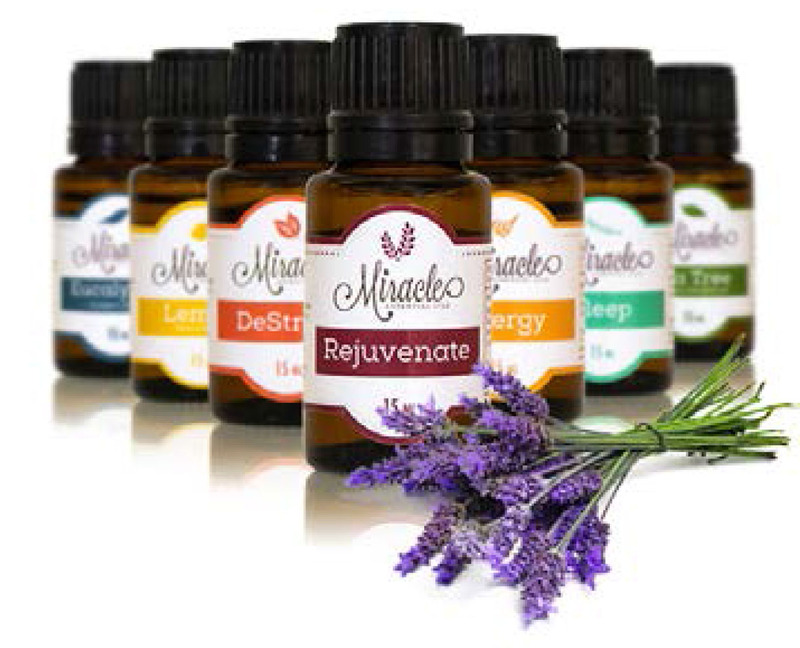 All of our pure essential oils are labeled as such. We also sell clearly labeled oil blends that are formulated with essential oils or “absolute” extracts with another oil as a base; usually pure jojoba oil. Sara G. Where did you find info that shows they are NOT pure EOs?? “Are your oils watered down or diluted in any way? I have several of the NOW EO and I have no complaints. 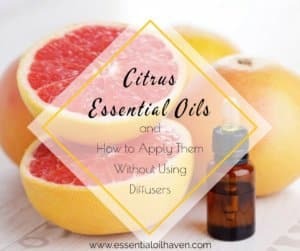 I use them in my diffusers throughout my home, and cleaning products have worked so well for me! Thanks for the research! I have bought DoTerra, Young Living and NOW brands and while I want to use the best quality I can afford, I don’t want to be ripped off either. I will continue to use the NOW brand and just finished making my own batch of Thieves oil and it smells exactly like my YL brand! Mary, what is your drop ratio for your Theives? Would like the recipe for thieves oil as well. I am also interested in your recipe. Please share. I’d love to know your exact recipe. No one else seems to be able to duplicate the specific aroma. Thanks in advance! Thieves : 40 drops clove bud, 35 drops lemon, 20 drops cinnamon bark, 15 drops eucalyptus and 10 drops rosemary. NOW brand called Nature’s Shield contains all of these oils. Purchased 3 bottles of rose absolute . Very disappointed. No rose fragrance at all. Can I return 2 unopened and 1 opened bottle? I’ve been using E oils over 8 years now &absolutely love Doterra but like many, I hate the price so I’ve been trying to find some other high quality oils. 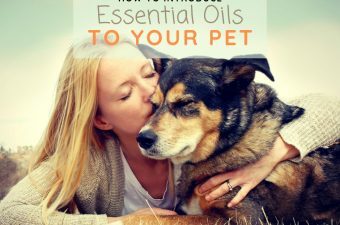 I’ve tried several Now oils but they just don’t seem to work as well (at least for our family). They just don’t seem as potent or something & we all ended up going back to Doterra for now. But I do still like using the Now oils in baths& diffusers. I’m wondering has anyone heard of or by chance tried Jade Bloom Essential Oils? They sound really good with great ratings& gradings& PRICES!! Lol!! I am also using doTERRA oils. And also have some Now EOs. 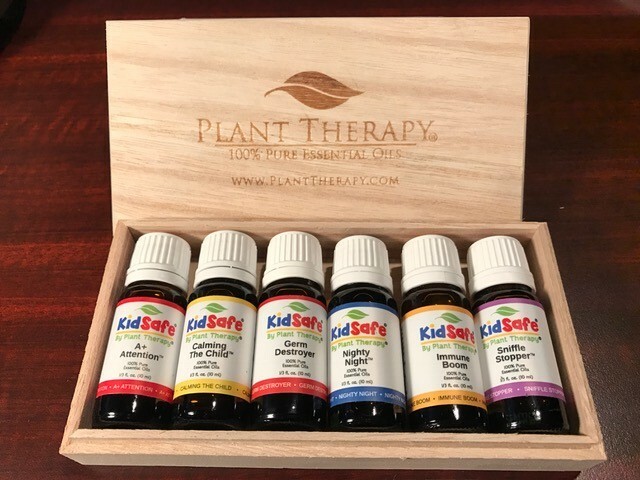 I have recently purchased some oils from Edens Garden ok for kids. I used the calm me down roll on for my kid didn’t really notice a change he still had melt downs so I felt that that was not helping, then I tried peace roll on from doTerra which seems to actually help him keep calm . I have noticed that doTerra peppermint smells different from Now peppermint, since peppermint is very strong in my opinion NOW smells more like candy canes and doTerras smells like the planet/mint(seems much stronger). While I am satisfied with doTerra they are very expensive. I am wondering if there are other EOs that are just as good as doTerra? The difference in peppermint has more to do with menthol levels, not the specific brand or quality per se. Personally, I prefer the strong menthol-y pepperment vs the sweet candy cane type. Ive found the NOW brand to have more menthol than all the brands I’ve tried . It makes my eyes water and sinuses clear on inhalation, which is the decongestion effect Im looking for. Some companies offer both types and will report menthol leveling requested. 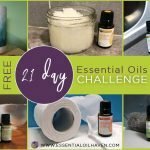 I have used around 20 different NOW EO’s and have yet to be disappointed. I am looking forward to expanding my selection. I believe they offer a good balance of quality and economy. Great value in my opinion. Good evening everyone!. 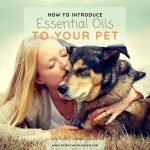 I am new to this oil life and I am a little confused about the difference between NOW essential oil and the Now organic along with the Food Organic essential oil? It seems as if there are a few different types. I currently have the bottles that say NOW Essential Oils. My main question I guess would be can I even use this one the skin or body butters, bath bombs ect? On the label it does disclose not to use on skin but its 100% pure Lime (this is only one flavor out of 4), I did see it says to dilute it with EX grapeseed, jojoba or almond oil. If I could locate the information as to what ratio I should follow to achieve the level I need it to be at so I can use it for skin and or bath bombs. Thank you in advance ; ) …. Hope you can help me with an allergy to linalool. I was asked to make a licorice scented soap that this person would like. My research tells me that Anise star seed eo and sweet fennel eo contain linalool. Sweet fennel eo contains least ppm but I do not want to give him a reaction. Any suggestions on how to get a licorice scent? I’m confused. This article says that there are no synthetics in NOW EOs, but my jasmine from NOW has synthetics in the ingredient list…I bought them assuming there wasn’t any, because the others I have are straight 100% oils (except that frankincense is pre-diluted), but this actually have it on the label! And the bottle looks no different from the others, so I am confused! Is there just something different about jasmine eo?? If so…why? Is the Jasmine labeled as a fragrance or an essential oil? Does the label indicate that there is a percentage of essential oil in a carrier? These may answer your question. I love my NOW oils, and I use a variety of essential oils. So far, NOW oils keep up with all the big name brands. I am a member of doTerra and read Young Living Oils can be ingested. Some of the doTerra oils can also be ingested. I know many people in my oil group that do take them but I do not since I am on medication for chronic pain and high blood pressure. I do use the oils for many things but rub them on my feet, diffuse and have blends for various things. Was wondering about that statement, thank you. Hi Patricia! Thank you for your question. 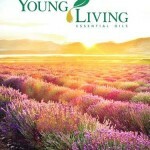 Young Living has a special line of oils, the “Vitality™” line, which they promote for ingestion. 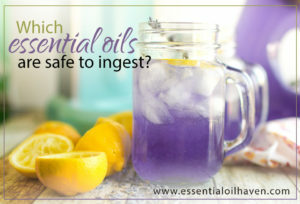 More detailed information is available here: https://www.essentialoilhaven.com/using-essential-oils-safely/. Hope this helps! Thanks for sharing these information. I have found that many essential oils have anti-inflammatory, antiviral, antibacterial, antiseptic and anti-fungal properties that help to boost your immune system and fight infections. I purchased a few Now EOs because of reviews like these and have mixed feelings. My lavender smelt off right from the start. Could be a one off I suppose. The recommended 3-5 drops in 100ml for diffusing could barely scent up my living room. Might be a problem with my diffuser? But the killer for me was I used it a couple of times for steam inhalation (mix of eucalyptus, tea tree and peppermint) to clear nasal congestion. Both times led to intense coughing and chest congestion by the following day. The second time my husband actually had to visit a doctor as his coughing fits were getting progressively worse. Am I doing something wrong? 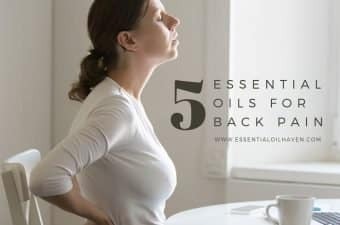 I really want these oils to work but am I risking my family’s health with these oils? Hi, May I check if I can use now essential oils with my young living desert mist diffuser? I am wondering if your essential oils, and in particular Nature’s Shield, are sold in the UK. SWANSEA, WALES. Hi! Yes you can buy Now Foods Essential Oils through Amazon.co.uk. Here is a link to their Nature’s Shield blend.